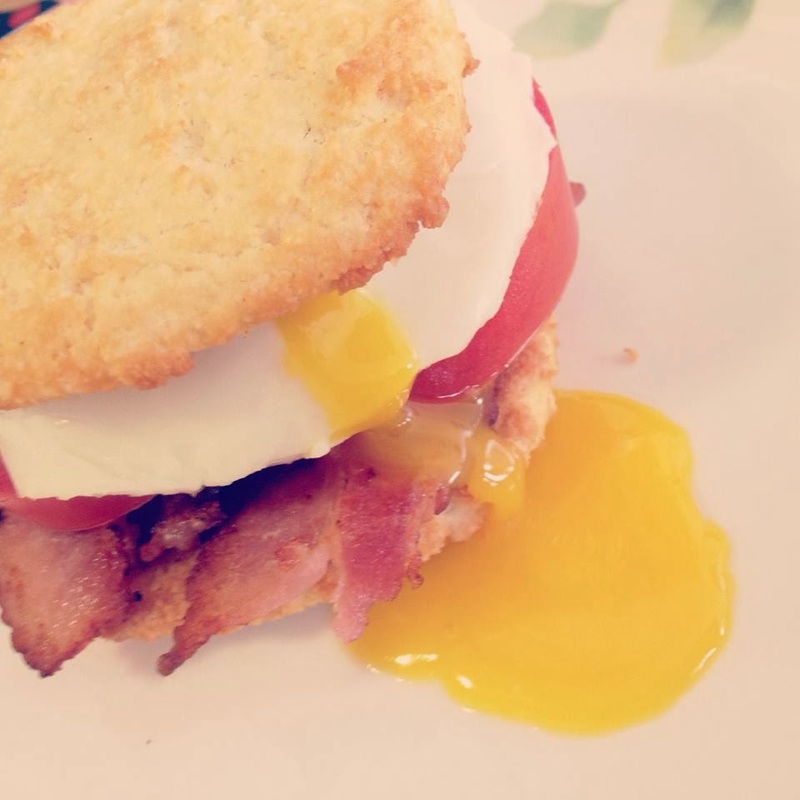 These are great if you want to make an egg mcmuffin- a sandwich hour of your bacon and eggs :) but it would also go well with chilli's and soups for dipping! 1. Preheat oven to 400F and line a baking sheet with parchment paper. 2. Mix almond flour, coconut flour, baking powder and salt together in a large mixing bowl. Cut in cold coconut oil with a fork until the mixture is crumbly. Place the bowl in the refrigerator for 10 minutes. 3. In a medium bowl whisk egg whites until they are very frothy. Fold the egg whites into the chilled flour mixture until well combined. 4. 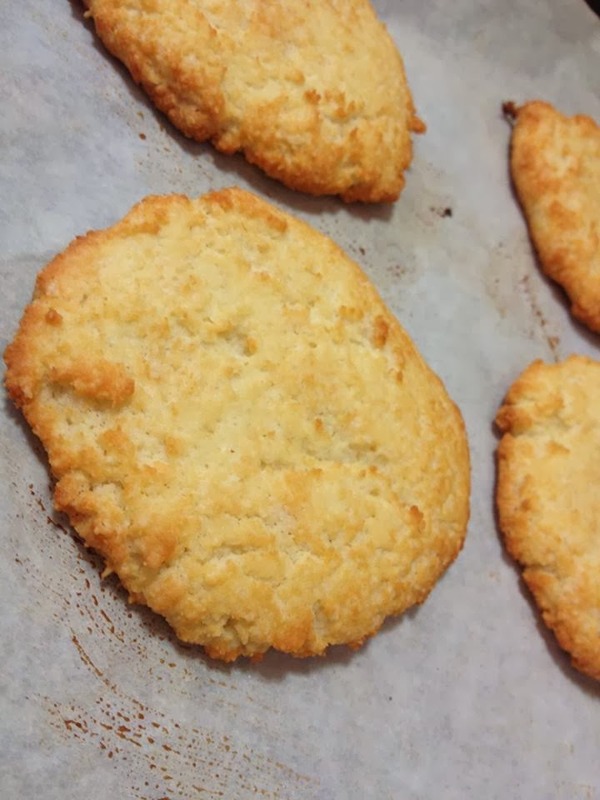 Scoop about 1/4 cup of dough onto the baking sheet and smooth the top to form each biscuits, an ice cream scoop works well in this step. Bake for 15-18 minutes, or until the tops are golden brown. Serve warm. Should make about 4 or 5 small biscuits! 2. Clean, and de-stem your mushrooms. 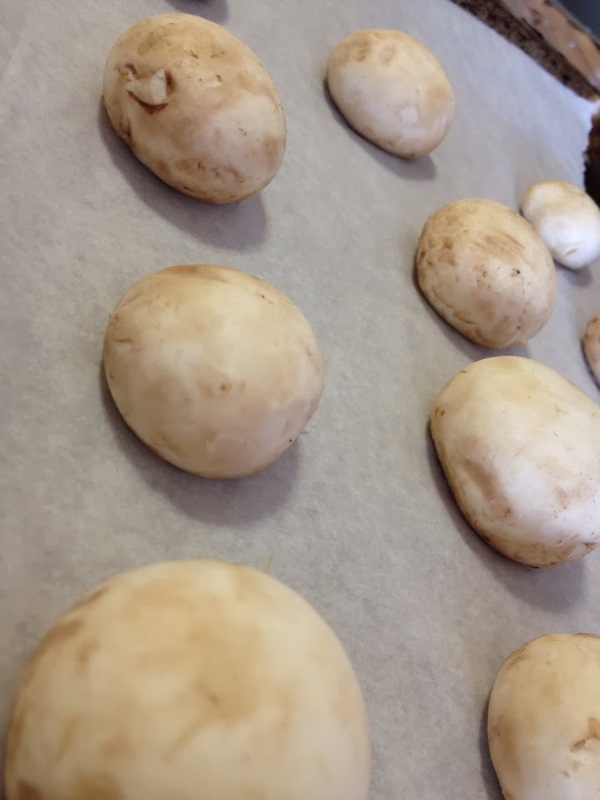 Place the mushrooms on a aluminum-foil lined baking sheet, and in the oven for 12 mins. 3. Remove from oven, and flip them. Roast for another 6-10 mins, or until all liquid has evaporated. 4. 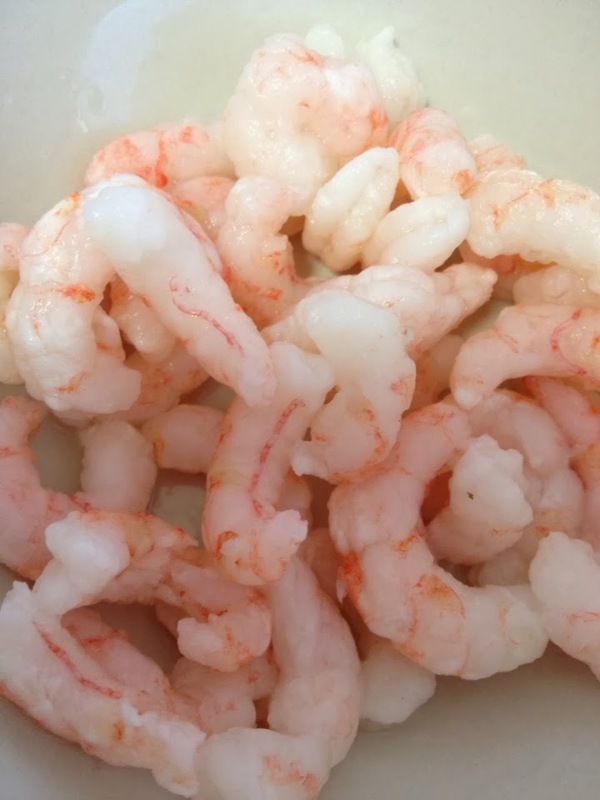 While the mushrooms are in the oven, remove tails from shrimp and place them in the food processor, along with your cilantro, bacon, hot and fish sauce. Add salt and pepper to taste. 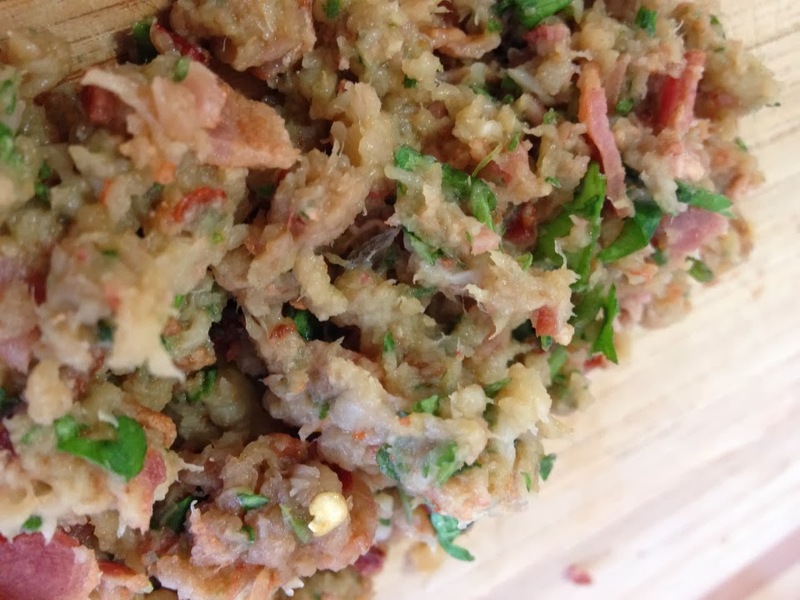 Blend these ingredients until a chunky, coarse paste develops. 5. When paste is done, scoop out small portions with a spoon and fill each cooked mushroom with shrimp paste. 6. 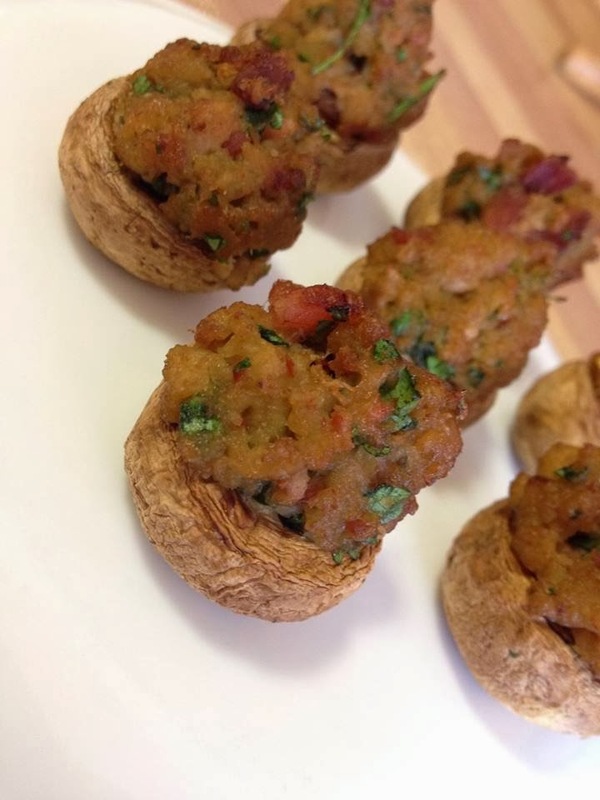 Return the stuffed mushrooms into the oven for 10-12 minutes, or until the shrimp is lightly browned. Then remove from oven and enjoy! I love pumpkin pie, and I love pancakes. This recipe is almost like the two combined! So yummy, and super filling. 1.Whisk together the dry ingredients: flour, baking soda, salt, cinnamon and pumpkin pie spice. 2. 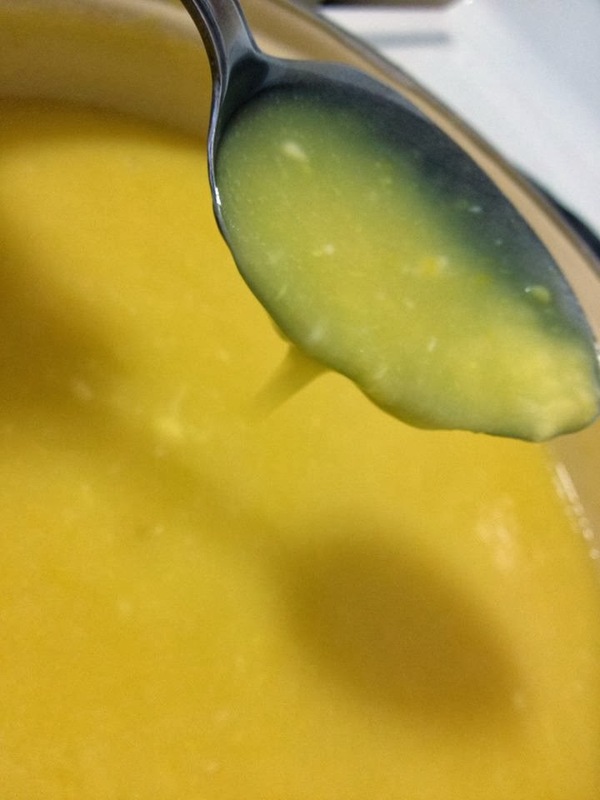 Then whisk the wet ingredients in a separate bowl: eggs, coconut oil, almond milk and pumpkin puree. 3. Slowly add the dry mix to the wet mix until the ingredients are well combined. 4. Heat the pan with coconut oil medium low heat. Spoon the batter into the pan in whatever size you wish. Use a spoon to flatten and shape the batter to about 1/3 inch. They will not bubble like regular pancakes so keep your eyes on them until they are done. 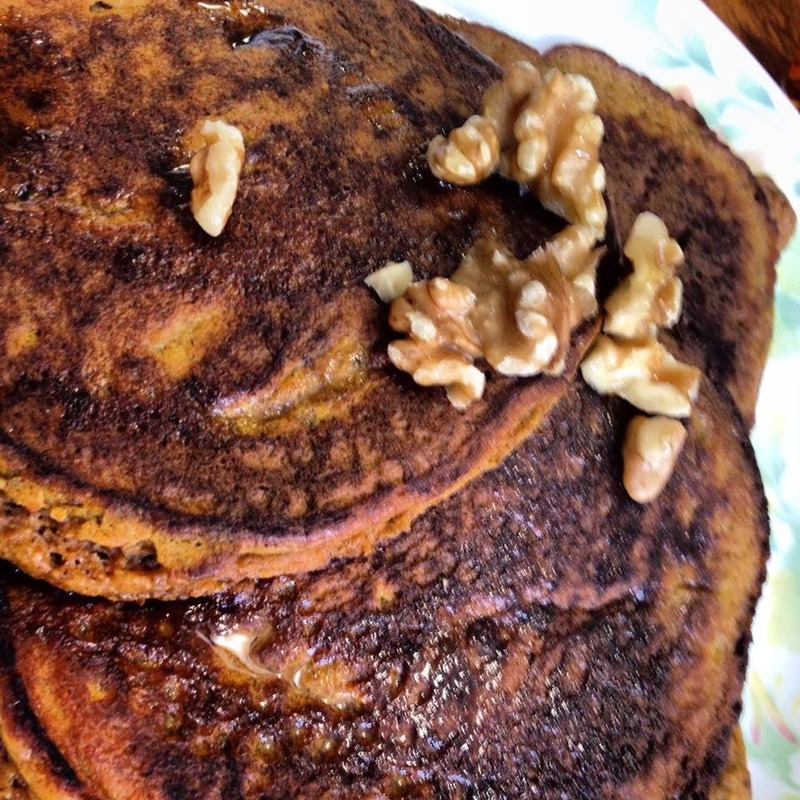 Flip them over to the other side when the bottom is golden brown. Also, you can check the edges to see if they are ready. 5. Serve with 100% pure maple syrup, or berries and nuts! 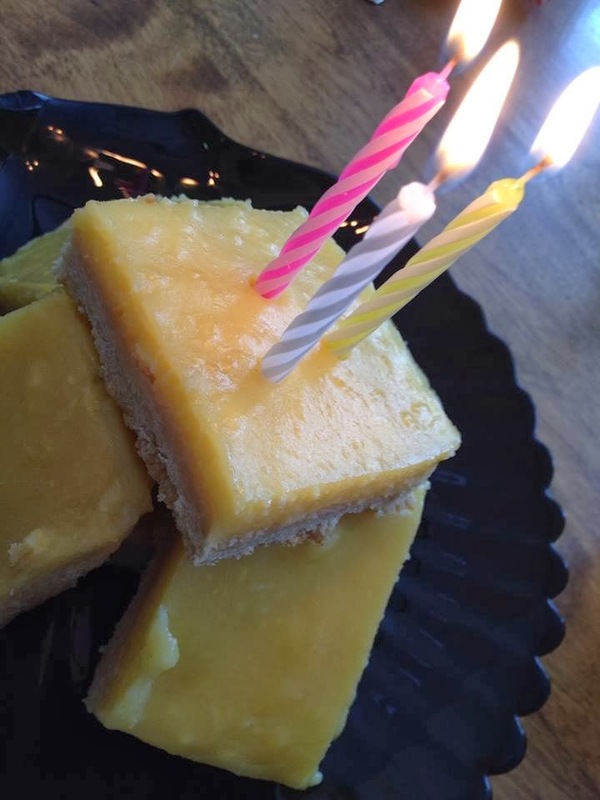 It was my sisters birthday this weekend, and she came to visit so I could throw her a little party. She also knows me for my baking, and was expecting a tasty treat! She thinks this whole pale thing is stupid, and generally refuses to try any paleo baking I make. So I tricked her with this yummy recipe; I told her it was none paleo so that she would eat it. She absolutely loved it, and was amazed when she found out there was NO dairy, NO processed sugar, and NO grains. 1. Heat up the oven to 160 degrees. 2. Mix together the honey, melted coconut oil, vanilla and eggs and whip till well mixed. 3. Pour the flour in a bowl and mix the wet ingredients in till well blended. 4. Line a 8 x 12 baking dish with baking paper and dump your mixture evenly over the pan and press it down till the crust is uniformly distributed over the pan and tucked in all nice. 5. Pop in the oven to bake for 10-15 minutes, until the edges are lightly brown. Set it aside to cool. 1. 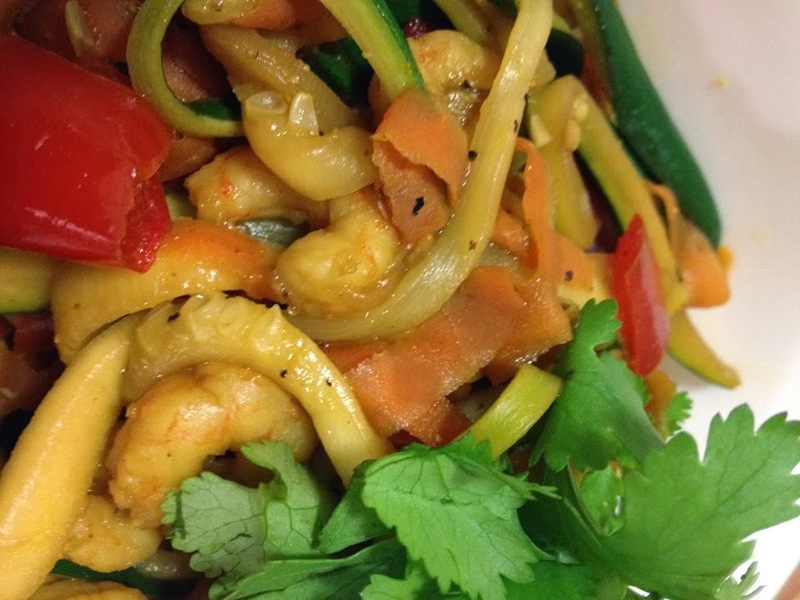 In a small sauce pan whisk together all the ingredients but the coconut oil over medium heat. While whisking, slowly pour in the melted coconut oil till well blended. 3. Keep whisking till the filling becomes a nice pudding like texture. Remove from the heat and let it cool, whisking occasionally. 4. Once cooled pour into the crust and place in the freezer to harden. 5. 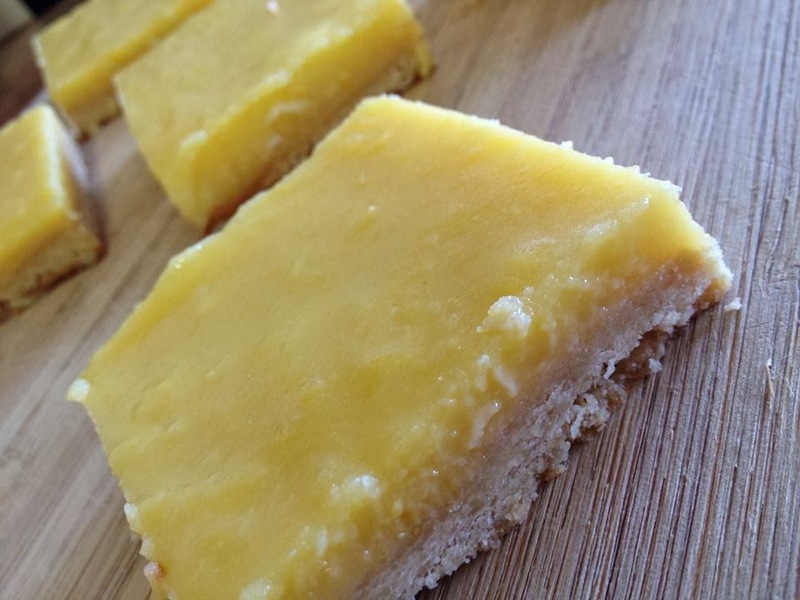 Take it out and cut into squares while frozen. 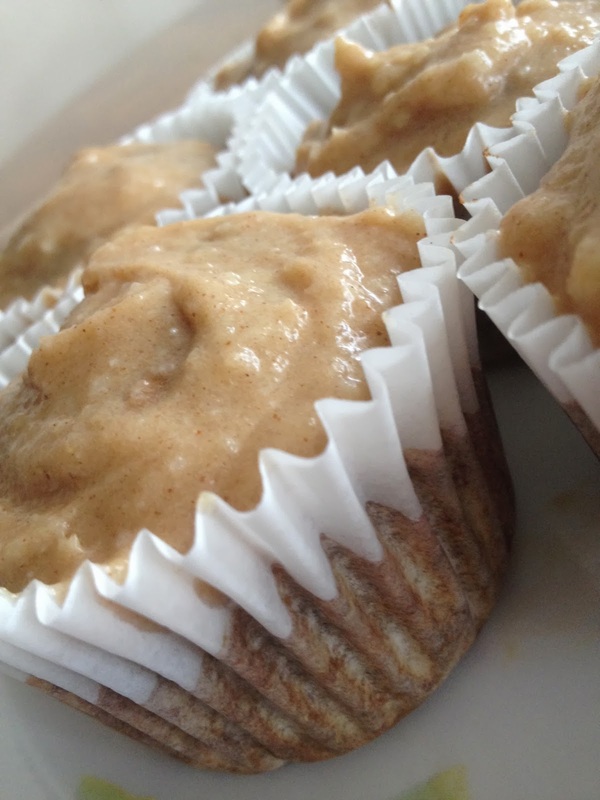 Keep in the freezer as they are a bit gooey when they get warm! 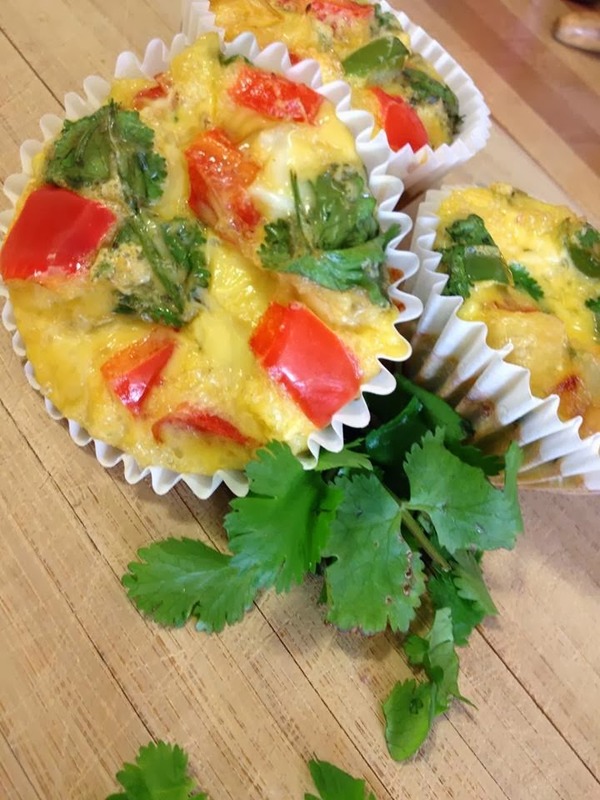 Paleo breakfast foods mostly involve eggs, and alot of them, so I'm always looking for new ways to make them! Do you miss your muffins? 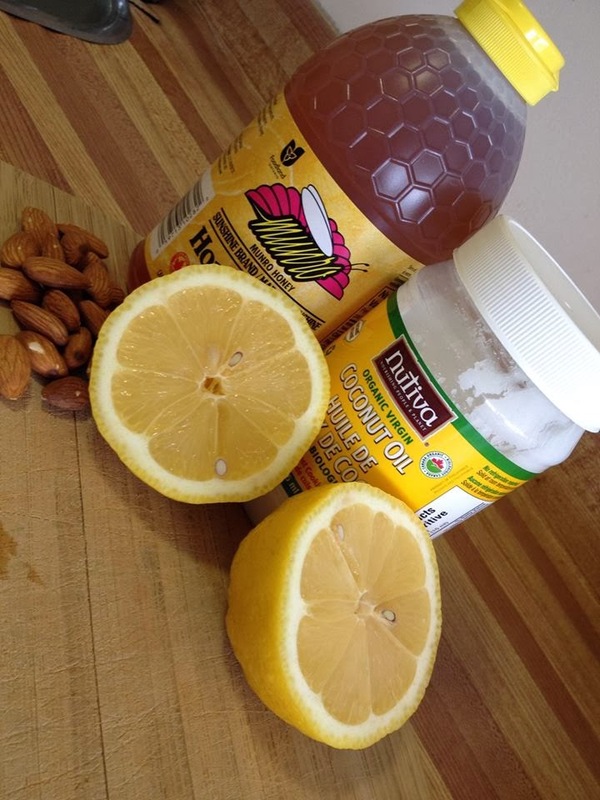 Here's a paleo substitute, that I really enjoyed! 2. Saute onions in olive oil over medium-high heat for 2-3 minutes. 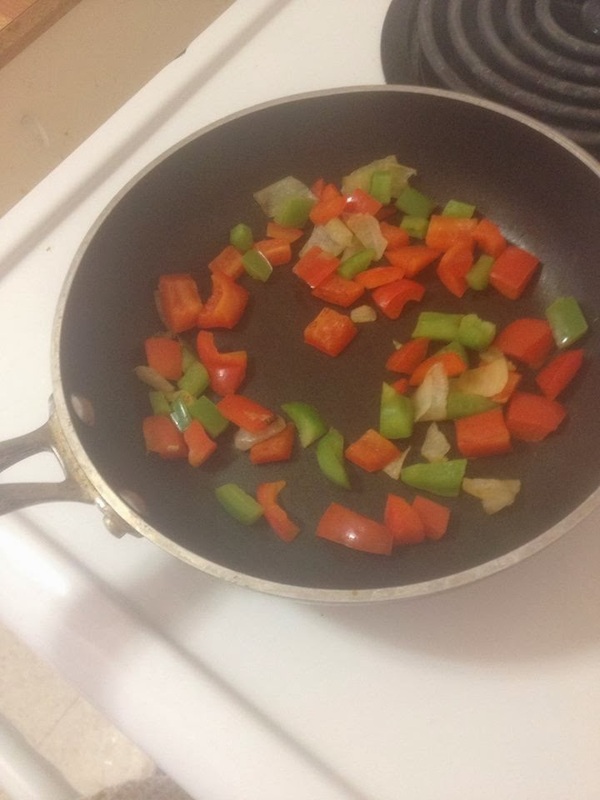 Add peppers and continue cooking for another 2-3 minutes. 3. While onions/peppers are cooking, whisk eggs in large bowl. 4. 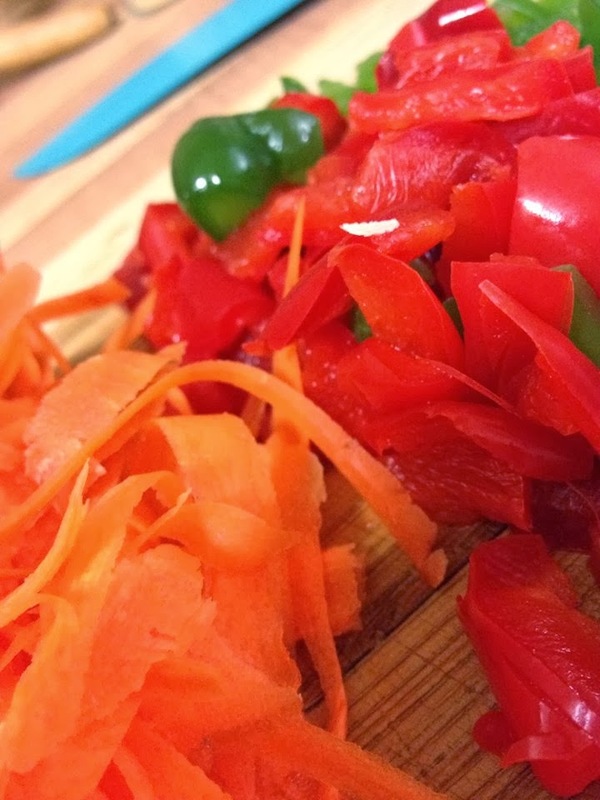 Once onions/peppers are cooked, remove from heat and let cool for a few minutes. Dump peppers/onions in egg bowl (once cooled), and uncooked cilantro and combine well. Sprinkle in salt & pepper. 6. Place in oven for 15 minutes (or more). Remove once the tops get high, fluffy and golden brown. Pop them out with a butter knife or thin spatula. 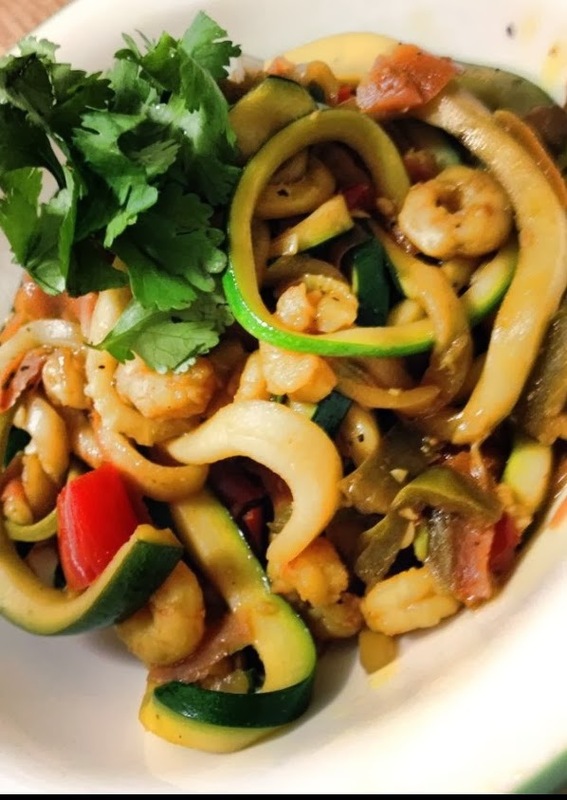 Yes my friends, we can eat pasta again, I discovered a way to recreate it in a paleo friendly manner :) Check this recipe out, you won't be disappointed. Even all my non-paleo friends love it! 1. Heat oil in a large wok or sauce pan over medium heat. 2. Once pan is warmed add minced garlic and ginger, then add red bell pepper when softened and sautee until it begins to soften. Add the carrot and continue to saute for about a minute or two. 3. Add shrimp and let sit in pan until meat is warm, then turn the heat to medium high and add the curry powder and zucchini noodles. Continually stir to avoid burning. 4. Add the lime juice and toasted sesame oil, black pepper and a little bit of the cilantro. 5. Toss the pan and keep it moving fast over the heat until everything is thoroughly coated with spice. 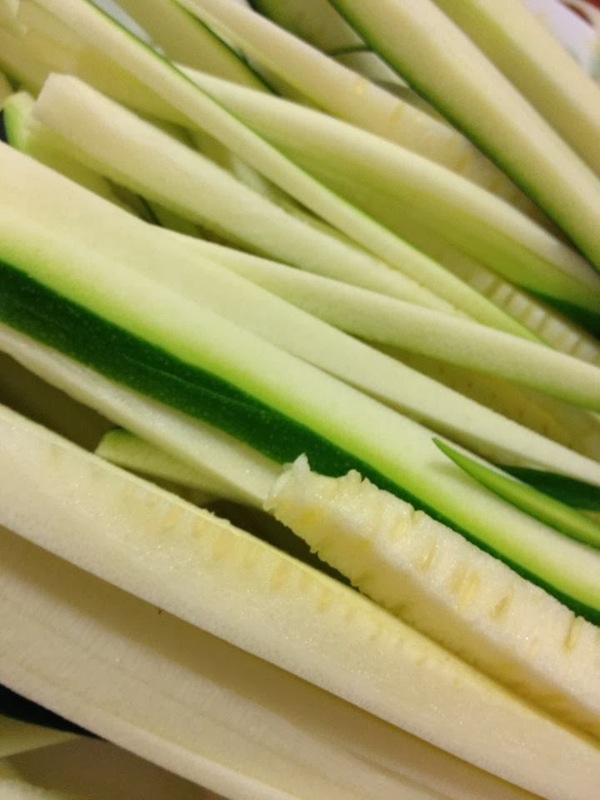 Continue this until your zucchini noodles begin to turn slightly translucent, once they are translucent your dish is done. Bake for approx. 20-25 minutes. 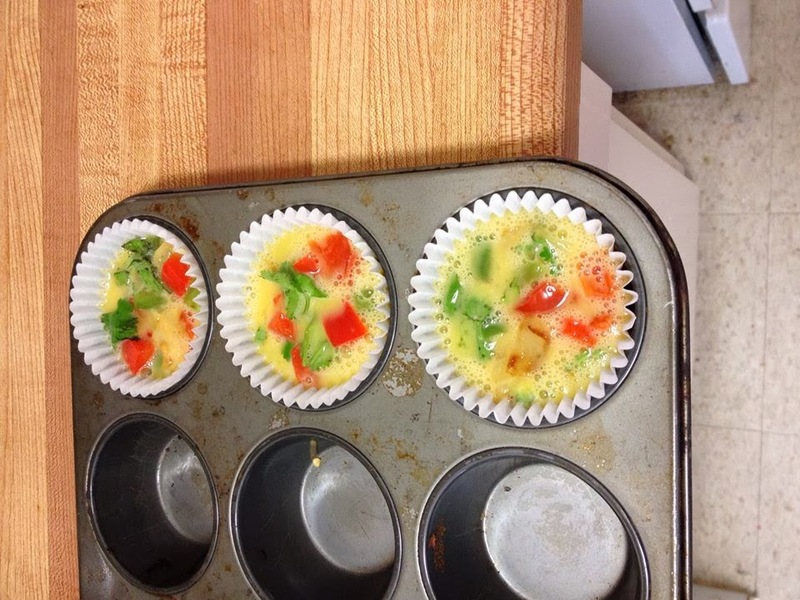 Insert a toothpick or fork into muffins- when it comes out clean, they are ready to remove from the oven. 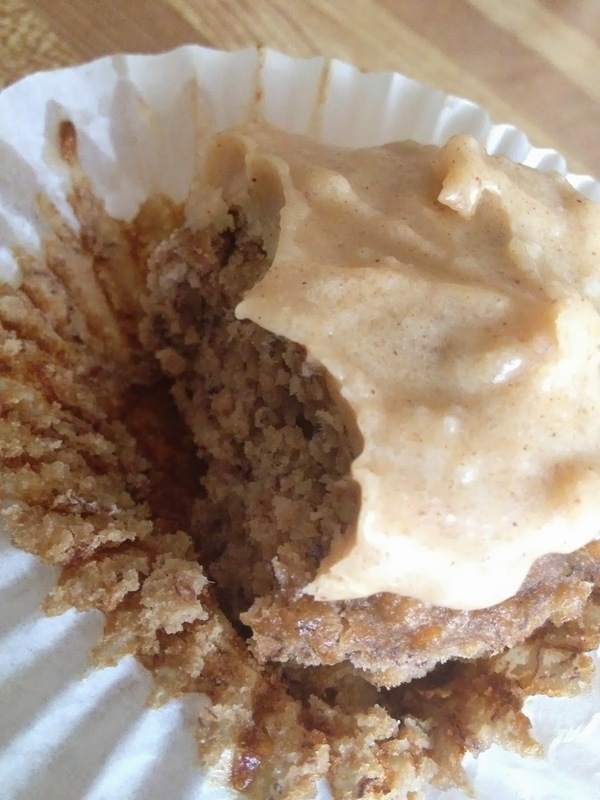 Prepare the frosting by combining all ingredients in a blender and blending until smooth. If the frosting is a little runny just place it in the fridge for a few minutes to harden up. Once the muffins have cooled completely you can frost them.